Progression in Sea of Thieves will not rely on loot boxes. In fact, there’ll never be loot boxes in the game. Sea of Thieves design director Mike Chapman confirmed that Rare is not interested in putting gambling in the game, and as such didn’t include any random, blind boxes. Chapman told PCGamer that although loot boxes are out of the question, microtransactions aren’t. 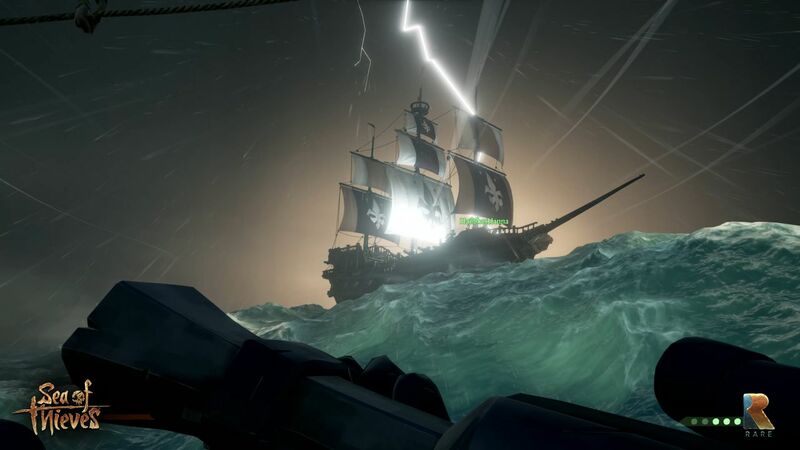 At launch, Sea of Thieves won’t have microtransactions, but this could change as Rare tries to find ways of monetising the game in the future. These microtransactions, if and when they’re implemented, will be limited to cosmetic items, but Rare is hoping to offer a a “new take” on the idea that’ll suit the game’s world and tone. “There’ll never be a form of gambling in Sea of Thieves, of any description,” said Chapman. The same goes for pay-to-win items, which the design director added are also not going to be in Sea of Thieves. Earlier today, Rare unveiled the full set of Sea of Thieves PC specs. The developer accounted for all sorts of hardware configurations, from the meagre machines targeting 720p @30fps all the way to 4k @60fps.